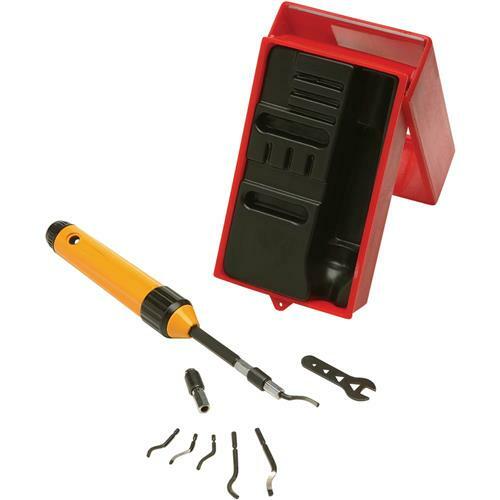 This Universal Deburring Set includes 3 deburring tips for soft metal, 3 deburring tips for hard metal, two quick collets and handle with extension wand and tip storage. Offset deburring tips pivot freely for great results. Handle measures 5-1/8". Twist lock extension wand adds up to 3-1/4" to handle length for reaching tight spots. Comes complete with wrench and see-thru, flip-top case.